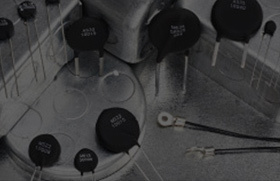 edge, electronic low voltage (ELV), TRIAC, and SCR dimmers. 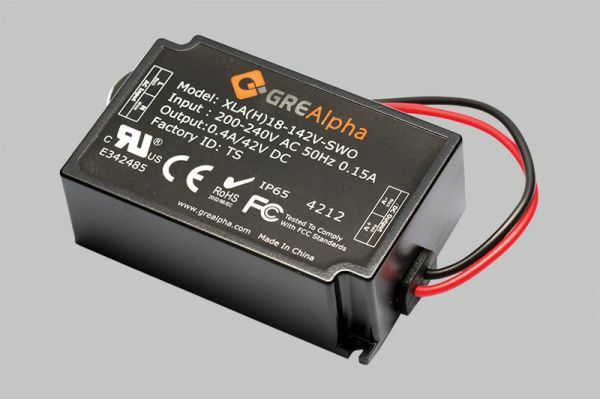 The XLA 25 is a TRIAC/ELV dimmable LED driver which offers maximum dimming performance and the widest dimming compatibility in the market today. Incorporating proprietary smart-dim technology, the XLA 25 provides flicker-free, 0-100% dimming and has been tested to work with over 60 brand name dimmers on the market. Rated IP 66, XLA 25 comes in unique long-slim form factor, making it suitable for a wide variety of LED illumination applications. 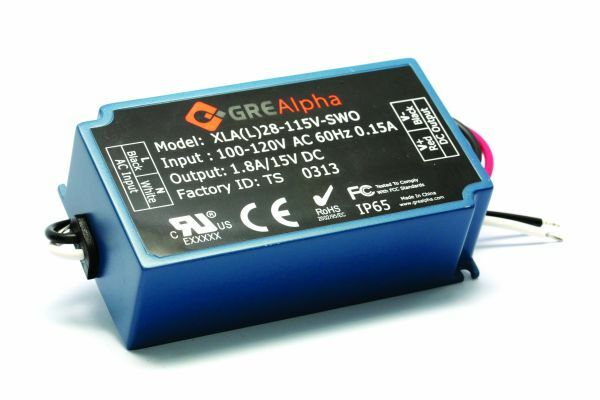 The XLA28 is a TRIAC/ELV dimmable LED driver which offers maximum dimming performance and the widest dimming compatibility in the market today. 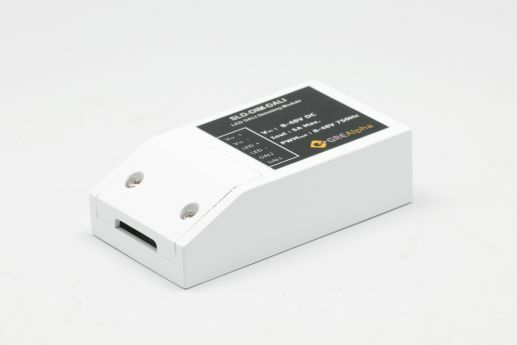 Incorporating proprietary smart-dim technology, the XLA28 provides ficker-free, 0-100% dimming and has been tested to work with over 60 brand name dimmers on the market. Rated IP 66, XLA 28 comes in unique long-slim form factor, making it suitable for a wide variety of LED illumination applications. The XLA65 is a TRIAC/ELV dimmable LED driver which offers maximum dimming performance and the widest dimming compatibility in the market today. Incorporating proprietary smart-dim technology, the XLA65 provides ficker-free,0-100% dimming and has been tested to work with over 60 brand name dimmers on the market. Rated IP 66, XLA 65 comes in unique long-slim form factor, making it suitable for a wide variety of LED illumination applications. 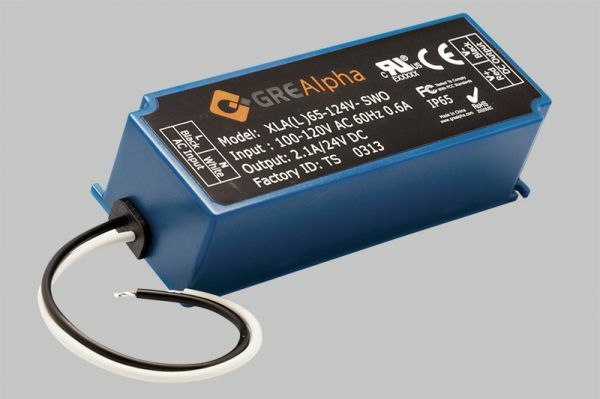 The XLA100 is a TRIAC/ELV dimmable LED driver which offers maximum dimming performance and the widest dimming compatibility in the market today. Incorporating proprietary smart-dim technology, the XLA100 provides flicker-free,0-100% dimming and has been tested to work with over 60 brand name dimmers on the market. 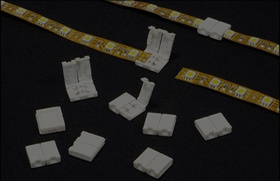 Rated IP 66, XLA 65 comes in unique long-slim form factor, making it suitable for a wide variety of LED illumination applications.